Coach: So you’re ready to run fast tomorrow. Coach: That wasn’t a question. You are ready. A few weeks ago, Coach Kevin requested I get a 5K race on the calendar. The intent being to benchmark my current fitness, and fine-tune my Chicago Marathon training paces. This made me giddy. I’d run a few 5Ks previously, but never one under the guidance of a coach. 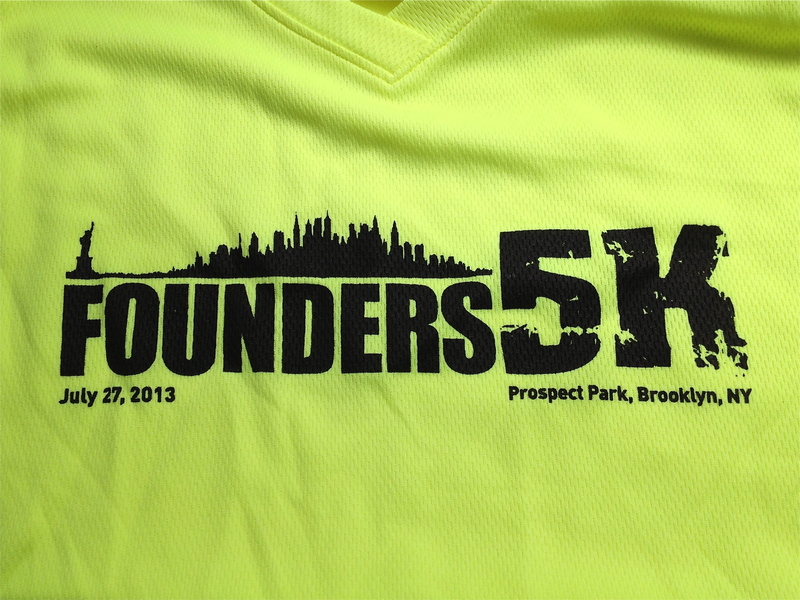 Needing a race sooner than later, I registered for the Central Park Track Club Founder’s 5K in Prospect Park, Brooklyn. With that on the schedule, Kevin gave me a week of workouts focused on sharpening speed and shaking out legs to prepare. By all means, race morning started off well. I woke early enough to get ready before heading to Brooklyn, and made a UCAN shake to hold me over from 6:00 AM (breakfast time) to 8:30 AM (pre-race fueling time). For that, I packed a bottle with 8oz water + 1 packet cran-raspberry UCAN to have pre-race. UCAN Shake = 1 packet Vanilla protein-enhanced UCAN + 1 cup almond milk + 1 tbs almond butter + 1 banana, blended. I met Dani at 7:00 AM to travel to Park Slope. The trip by subway, according to Hopstop.com, looked to be about an hour. We expected to get to the park around 8:00 AM, giving us time to check bags and warm up. The trip, in actuality, only took 30 minutes! (I’m looking at you, Hopstop.com.) The up side of being so early was we didn’t have to rush. Race day central (bib pickup, bag drop, and the Generation UCAN table) was on a narrow, shaded drive in the middle of the park. But, as Dani and I approached, we saw a large tree had fallen across the road. Near it was a noticeable pool of blood. We were told the tree had fallen on a man, hitting him in the head. He’d been taken away by ambulance, still-conscious. What horrible, horrible news. (Does anyone have an update on his condition?) Park services quickly worked to plow the tree aside and clean the pavement. Race officials also reacted by re-routing the course. Understandably, the race was delayed until 9:30 AM. Now having two hours before the start, I dropped my bag off and caught up with Varun at the Gen UCAN table. He was there mixing pre-race samples for the runners. We chatted, and after I while it was time to start my warmup. As it was already 72F with 73% humidity, the warmup did the job loosening my muscles. I quick ran back to baggage, stripped down to my race gear, and took a few quick sips of UCAN. I was feeling sufficiently shaken out, but also a bit tired from being up nearly four hours by race start. Per Coach’s instructions, I lined up toward the front of the pack. Not exactly toeing the line – not quite ready for Pre’s suicide pace – but far enough ahead to avoid weaving. After a few words from the race directors, and the national anthem, we were off. I’d been told about an incline in the early stage of the race. After, I was expecting to take advantage of a downhill and relatively flat finish. Having run in Prospect Park twice before, it sounded plausible. Not until the midst of the race I remembered (by concrete experience) the park has quite a few rolling hills. Steady, long inclines followed by nice downhills and into the next. My race goal was a 6:40 min/mi in mile one, then drop to 6:30 min/mi pace. I heeded Coach’s warning not to surge on the uphill, so I conservatively took it at effort. After the first mile, I became frustrated. It felt as if my pace was dropping, as planned. What seemed like 6:30 effort, however, was showing up considerably slower on my Garmin. My body was coping with the course. MIles two and three were pretty much a negotiation between my legs, lungs, and brain. I had enough in me for the final kick at the finish line, which was on a mild incline. I may have missed my goal pace, but I did run a shiny new 5K PR! After all was said and done (and my lungs were sufficiently on fire) I earned 2nd place in Age Group and a 5K PR. Not bad for my first earnestly-raced 5K! At first, I felt disappointed missing my target pace. I truly believe I have it in me. But, given the later start, challenging course, and warmth of the day, I’ll take the accomplishment with pride. After I digested the circumstances, I was quite pleased with my performance. To give it context, last October I ran the 5th Avenue mile in 6:38. That had been a challenge. To triple the distance, at a pace 14 seconds/mile slower is proof of improvement. 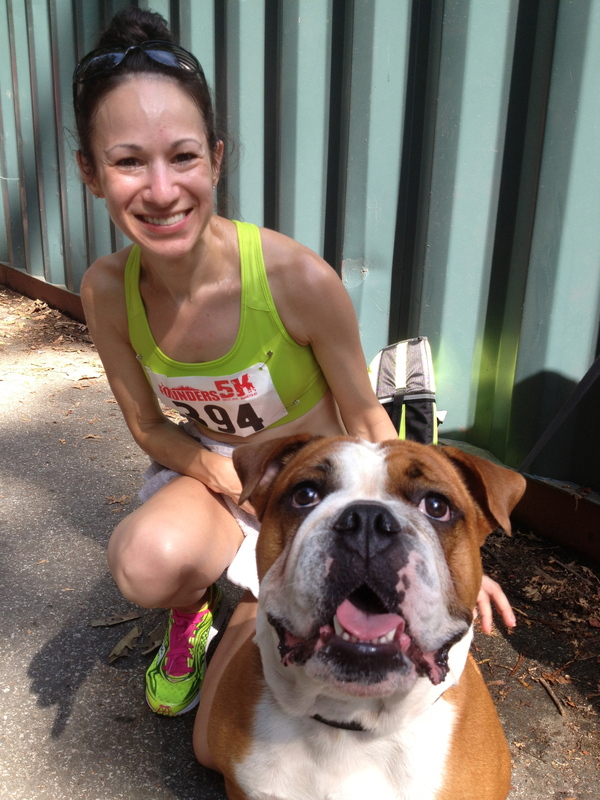 After speaking with Coach about my results, he reassured me it was a very good start to racing shorter distances. 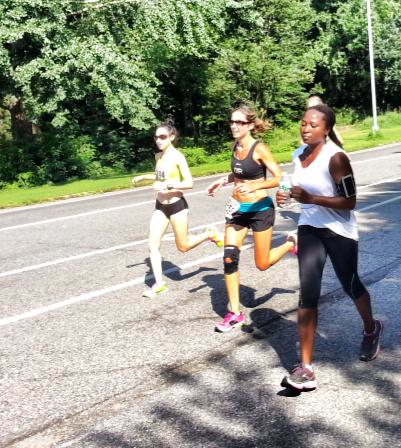 The experience and speed will help contribute to a strong marathon in October. 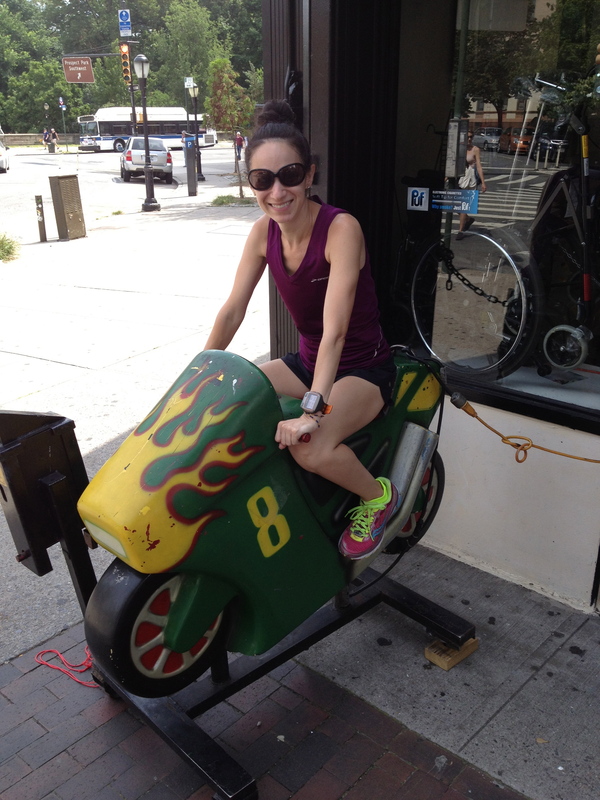 As a result of the Founder’s 5K, my Chicago Marathon training paces will be dropping. That makes me very happy. Ultimately, that had been the primary goal all along. So, I’ll consider it a successful day! 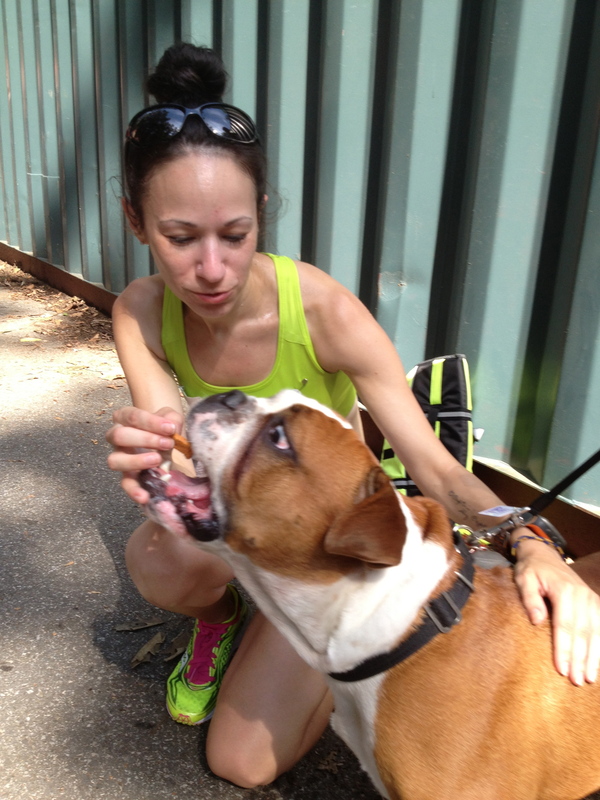 Brooklyn Brutus recovering from the 5K with treats. 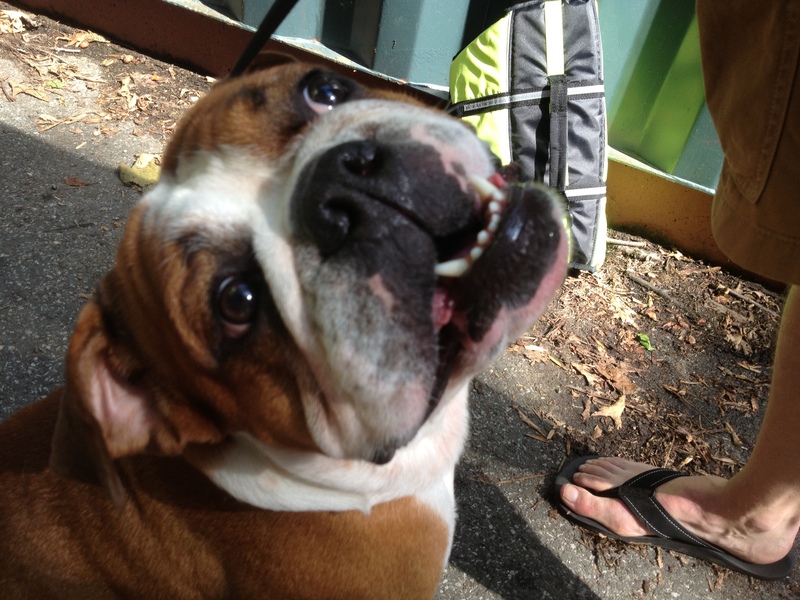 Oh wait, he didn’t run it…Where are my post-race treats? Congrats! That is a really great 5k PR and definitely something to be proud of! You are a speedter- it really sounds like your training is going well and that you’re going to have a good race in Chicago at this rate! Yes tempo makes a huge difference! I did them leading up to Eugene but since OC marathon i haven’t done any speed-work and I can definitely tell. BUT I’m kind of on a training break right now and my focus is on the wedding. Starting back up with serious training in Novemberish and my goal is to BQ next Spring! Nice job, 5k’s are brutal! 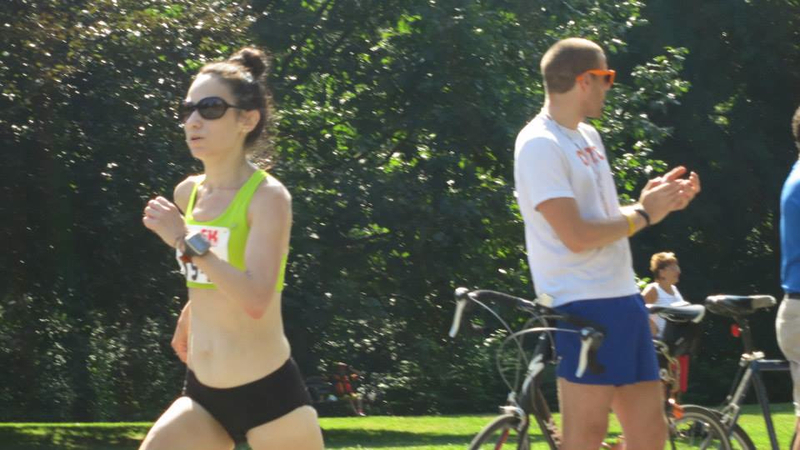 Congrats on the PR and you’ll notice a difference in a 5k once cooler temps hit. Yes, can’t wait for a 5K in cool weather! End of July, with hills – not the ideal conditions!